Wash the fruit & vegetables. Peel and grate carrots, peel, core and grate the apple. Grate or finely slice red cabbage. Throw all the ingredients in a serving bowl including mandarin segments. Pour over extra virgin olive oil and season with salt & black pepper. Toss it around, taste for seasoning and when happy, serve! 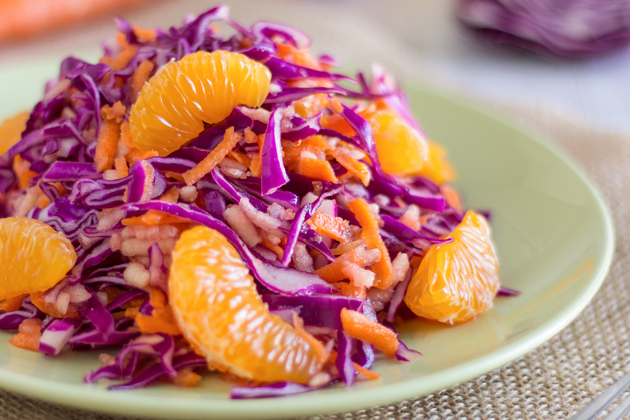 This salad is perfect on its own or as a side dish especially with a heavy meal. It will also be great with barbeque in summer! 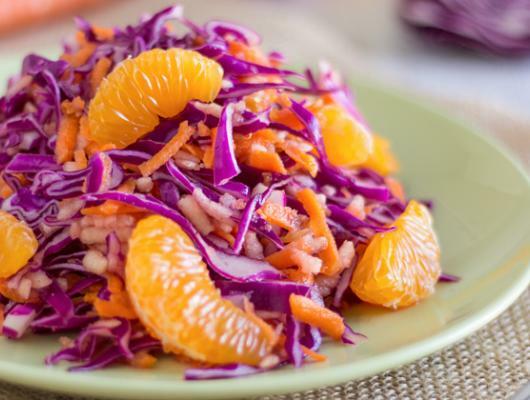 The post Yummylicious Detox Red Cabbage Salad appeared first on HappyFoods Tube.